11 Best Restaurants In Lagos You Must Visit Today. [STANDARD] 4 Bedroom Flat Bill Of Quantities (BOQ) – Buy Now ! [STANDARD] 3 Bedroom Flat Bill Of Quantities (BOQ) – Buy Now ! [STANDARD] 2 Bedroom Flat Bill Of Quantities (BOQ) – Buy Now ! 10+ Experts Share Secret of running Successful Real Estate Business. 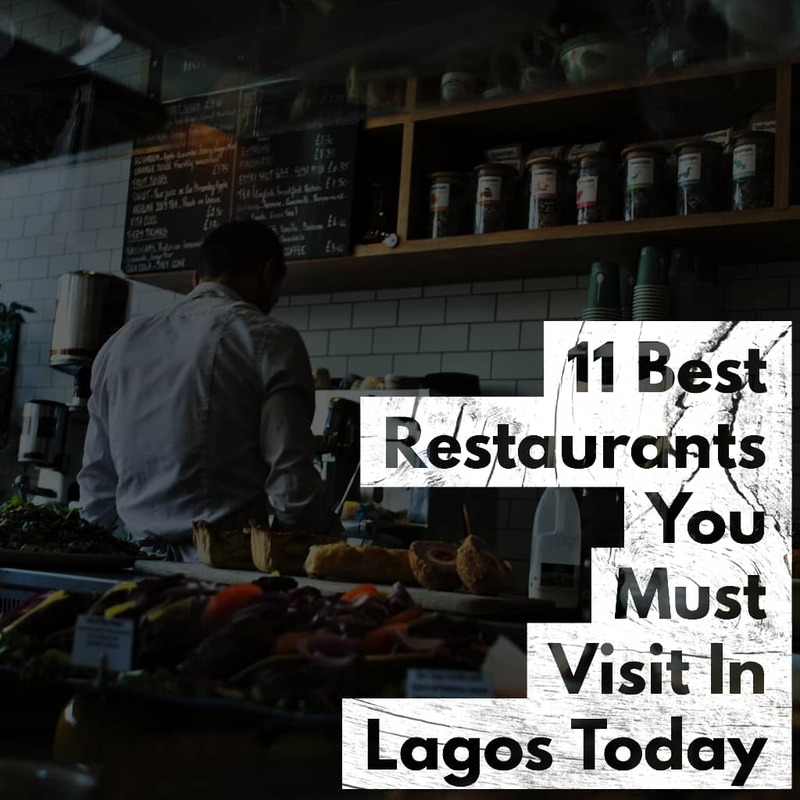 1 11 Best Restaurants In Lagos You Must Visit Today. The food industry in Nigeria is such a busy one as there are lots of foods to fit the different taste of individuals. The dining scene as obtainable in Lagos looks alike with other parts of the world as we get to travel across various cities of other nations. But do not get to a point of deception as the food narrative in this most populous city of Nigeria –Lagos changes almost at every given time. Irrespective of the changes, you are sure to get tongue-salivating and sumptuous food from most of the restaurants in Lagos. The restaurants leave you with a whole range of different food offers from Local delicacies to Asian and Caribbean meals that will evoke a dance party in your mouth organ. There are lots of restaurants in Lagos. Have you ever wondered why this is so? It is simply because Nigerians are good kitchen savvy. Lagos, as a city, can boast of over 300 restaurants across its nooks and crannies. With this ever-increasing number, it can be pretty difficult to navigate your way to a restaurant that is suitable for you with exquisite food offers. To help you in this regard, we have compiled a superb list of the best restaurants in Lagos. These 11 carefully selected best restaurants in Lagos are sure to give you the best of experience as you will feel the warmth of glitzy luxury in them. Aside from this, be rest assured to get the best of meals and delicacies from them coupled with coziness. Hard rock café is an international restaurant with a presence in Lagos. It has the best of American classic foods. It has been become a favorite among many Lagosians since its launch two years ago. The foods are good and you will also be treated with good live music. There are bar and lounge, karaoke, brunch, late dinner, live music, and outdoor amenities. Little wonders it has become a hangout for celebrities. It is a great restaurant to visit as you will be treated beyond your wildest imaginations. Shiro Restaurant and bar is located on Water Corporation Road | Victoria Island, Near Landmark Centre, Water Corporation. It is a popular restaurant in Lagos known for its Japanese delicacies. You can get the best of experience here you will have a double dose of a restaurant and bar. The best of Shushi Japanese delicacy is prepared in this restaurant. If you want a kind of home away from home feel, then this is the go-to restaurant. It is located on 15 Marine Rd, Marina, Lagos. It is popularly known in Lagos for its beautiful garden and comfortable ambiance. Its Thai food, which is mostly served, is simply sumptuous and great to eat in a garden. The waiters and staff are lovely and they ensure to leave a lasting smile on your face. Spice Bar is another superlative Indian restaurant in Lagos. It is located on 44A, Adeola Odeku Street, Victoria Island, Lagos. It is widely known among many Lagosians as the hot place to get the best Indian Cuisines. There are various options for everyone irrespective of their tastes. There is a menu on the list that is right for your taste buds. The quantity of food served is ideal for the prices and a commendable feature about this restaurant is that foods are affordable. It is a comfortable place to hang out with friends and family for a weekend. The atmosphere there is very cozy with lots of music for your fun. The staffs are your friends as they are always ready to attend to you in a courteous manner especially if you are a first time client. Art café is located on the island. Its address is at 282 Akin Olugbade St, Victoria Island, Lagos. This is the number spot for all coffee lovers in Lagos. If you have an undying love for coffee, then you should frequent this place. It is the home for the serving of the best of coffees in Lagos inclusive of teas, homemade baked foods and cool selection of your favorite sandwiches. The Lagoon restaurant is also located on the island, precisely at Ozumba Mbadiwe St, Victoria Island, Lagos. The ambiance you will get in this restaurant is superb as you get to enjoy your best food and drink with a good view of the water. You don’t just have local delicacies there. There are all sorts of Brazilian, Indian and Lebanese meals on the menu for you. The meals are simply appetizing. If you are looking for a good alternative for clubbing, then a visit to this restaurant will do you good as it offers pizza, barbecue, karaoke and other things to give a nice experience you will live to remember. Bungalow restaurant is another best restaurant that has two locations in Lagos. One is on the mainland and the other on the island. The island branch is situated on Plot 1196 Akin Adesola Street, Victoria Island, Lagos while the mainland branch operates from 9 Adekunle Fajuyi Way, 101001, Ikeja, Lagos. The foods served there are amazing and the staff amiable. Visitors Also Read : 10 Best Restaurants In Victoria Island - Your Top Visit List ! You will have the best of time in this restaurant as Japanese delicacies such as Sushi are served there. Burgers and salads are also available to suit your taste buds. Previously, Nigerians who are vegetarians find it very tough a task to find a restaurant that will serve their kind of meals. But that came to an end when the Sherlaton Indian restaurant came to birth. This restaurant that is located at 21 Ahmadu Bello Way, Victoria Island, Lagos came to the rescue to many a vegetarian. This is not the restaurant you will classify as a luxury restaurant but you are sure to get the best of quality in food at affordable prices. A beauty in this restaurant is that the cooking and ingredients used in preparing foods are highly supervised. The foods are in the best state of simplicity. When you visit this restaurant, be sure to get qualitative and quantitative food despite the prices. Non-vegetarians will also find this restaurant a good place as there are Chicken Tikka Masala and also the Lamb Madras that will serve their eating pleasure and taste. This restaurant, R.S.V.P Lagos is unarguably one of the most popular restaurants in Lagos. It has cut across as a topmost trendy restaurant also. If you are looking for amazing foods, then it is one of your sure bet choices. The R.SV.P Lagos restaurant is located at 9, Ogabi Eletu Street, Victoria Island, Lagos. One of the side attractions of this restaurant is its build and design. Its architecture speaks a huge volume of beauty, class, simplicity and exquisite. Its style is that of a modern Manhattan style. Another beauty to it is that it has a resident bar in it so you don’t need to go far way to unwind with your family and friends after your meals. If you are lovely of foreign cuisine, then you will get a good treat here at R.SV.P Lagos as there are sumptuously prepared American Nouveau Cuisines that are simple and tasty. Its menus include but not limited to burgers, steaks and chicken sandwiches. As a matter of fact, the steaks and burgers are superb that you will have to check them out when next you visit this restaurant. There is a swimming pool and an in-house DJ to accompany you pleasure and satisfaction as you enjoy yourself. It is one of the places you will love to be in Lagos. But remember that they don’t open for business on Mondays. The Yellow Chilli restaurant and bar is another best restaurant in Lagos. You will want to visit them to have an amazing experience of a lifetime. It has two locations in Lagos. There is one located on the Island and the other located on the mainland. The Island branch offers services from 27, Oju Olobun Close, Off Bishop Oluwole Street, Victoria Island, Lagos. The mainland branch operates from 35, Joel Ogunaike Street, Ikeja, Lagos. The yellow chili restaurant and bar is one of the few restaurants in Lagos that offer local delicacies with a touch gourmet in its finest nature. Aside from this, there is the availability of other African and intercontinental dishes that will give you value money and evoke excitement in your taste buds. This restaurant is famous for its iconic Jollof rice dish. The iconic jollof rice fiesta is something you don’t want to miss. If you think you have tasted the best of okra soup, you will be convinced to have a change of thought after you must have tasted the seafood okra from this restaurant. One thing you will enjoy in this restaurant is the delicious meals that you can find in both locations. They are consistent in their operations. You can get dependence and quality of meal whenever you want. A visit to any of their branches will do justice to that. This restaurant operates from 14 Idowu Martins St, Victoria Island, Lagos. As a first time visitor, you will be dazzled with the interiors of this restaurant as it is awesomely beautiful. It is a luxury restaurant that will give you value for every kobo you will spend there. It is simply an excellent restaurant with good and tasty foods to offer you. The desert and cocktails served there cannot be found elsewhere. It boasts of one of the best cheesecakes, chocolate fondant, and brownies. Learn How " I " Turned Real Estate Business To Real Fortune ! Yes , I want IT !! 10 Best Restaurants In Victoria Island – Your Top Visit List ! Top Ten Best Restaurants in Ikeja Lagos – Your MOST Sort For List ! Top 10 Best Restaurants In Lekki – A Must See for Everyone. Best 10 Chinese Restaurant In Abuja – A True Must Visit LIST ! Hey, thanks for dropping by. I'm Ade. I love developing,running successful business Online ~ Locally & entrepreneurship .So I built my life around those things. Sell Your Properties On High Ticket NOW !! [STANDARD] 4 Bedroom Flat Bill Of Quantities (BOQ) - READ Below Description ! [STANDARD] 3 Bedroom Flat Bill Of Quantities (BOQ) - READ Below Description ! Victor on [STANDARD] 2 Bedroom Flat Bill Of Quantities (BOQ) – READ Below Description ! [STANDARD] 2 Bedroom Flat Bill Of Quantities (BOQ) - READ Below Description ! It will definitely cut you some price !! Even though it was my third house, I was about to fall for my contractor’s evil plans (as I like to call them) again when I stumbled upon an ad by Realestateko. Soon after I contacted them, I got an excellent BOQ report, through which I discovered that my contractor has been fooling me for years. I really can’t thank you guys, and I’m surely coming back whenever I have a new project! I’ll let you in on a little secret; I laugh at myself every night when I remember how I thought I could take care of myself in the construction market. Yes, that’s correct, I believed that my humble trading skills would allow me to reduce the expenses of my house. Boy, was I Let me tell you, the market is full of big whales trying to devour you, and if you don’t have a clear idea of how much everything costs and what you need for your house, you’re gonna be an easy prey. Thankfully, I found Realestateko’s offer before spending a dime, which ultimately led to me saving a couple of thousand Naira. This is what I call a high-quality, money-saving service! RealestatEko | Realtors and Brokers Copyright © 2019.